This little duck led me on a merry chase. 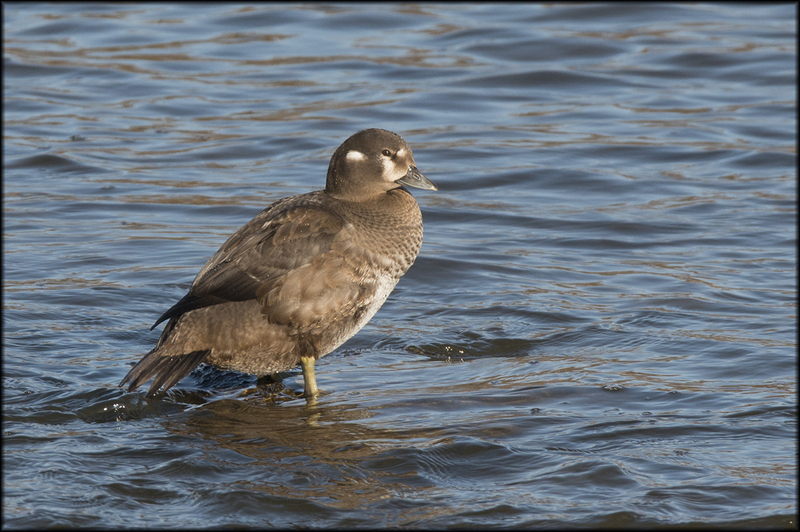 I’d gone up and down the Rideau River, quite a few times, looking for this duck. Due to a combination of weather, bad luck or work, I hadn’t been able to see it. Even though it was in a relatively small area of the river, it proved elusive, at least to me….lolol. Today that all changed. Rick Collins and I went down to Strathcona Park, hoping to see the duck. We parked the car and walked over to the edge of the River, scanning the area, which was full of Hooded Mergansers, Common Merganser, Bufflehead, Mallards, Common Goldeneye and Canada Geese. I had that feeling it wasn’t going to show itself again. 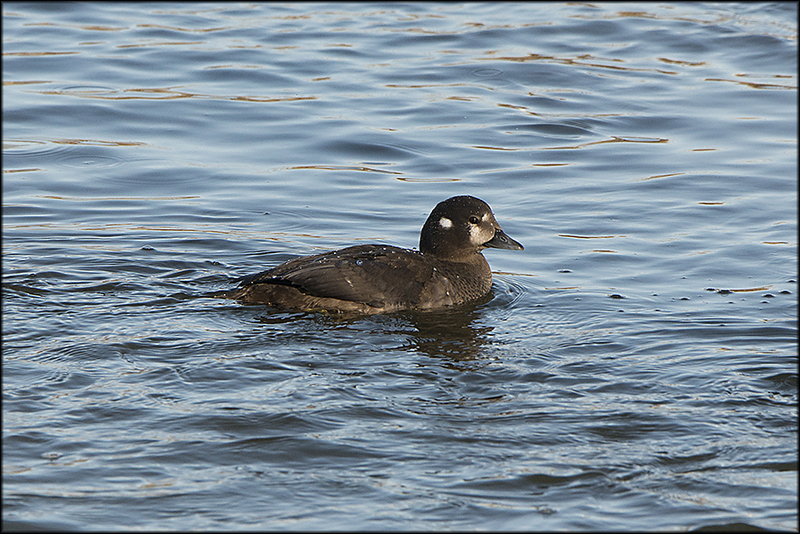 As I was thinking that, a duck surfaced mid-river, there was no mistaking this bird, the white spot is a dead giveaway. 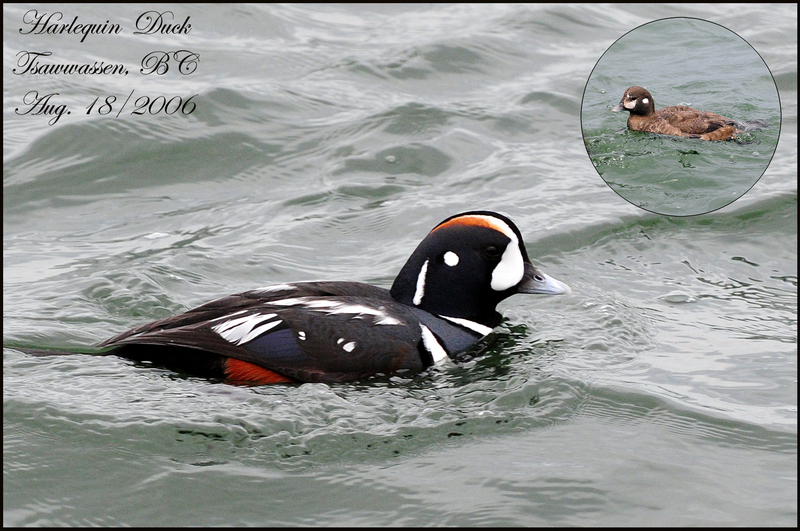 There she was, female Harlequin Duck, Ottawa Bird # 247. The male Harlequin will show up here someday, I hope. 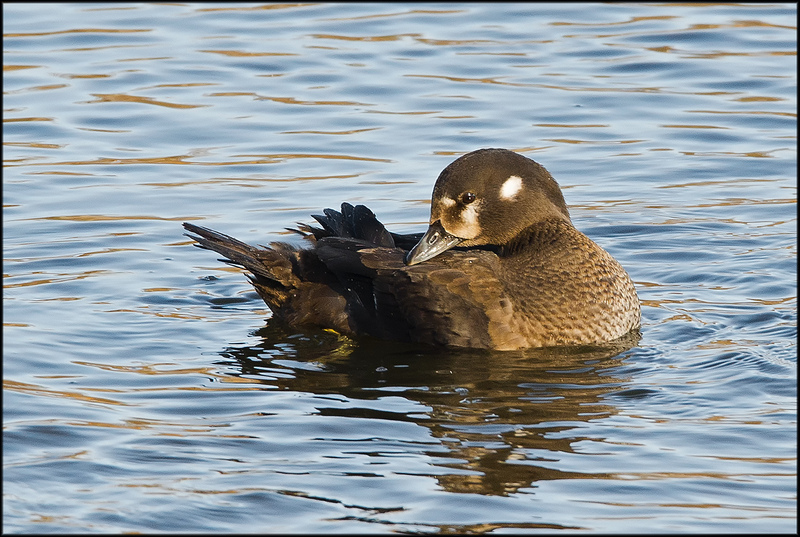 In my opinion, it’s one of the most beautiful ducks in North America. the photo below is from Barnegat Light, New Jersey, on the edge of the jetty. The Harlequins winter there and can number in the hundreds.